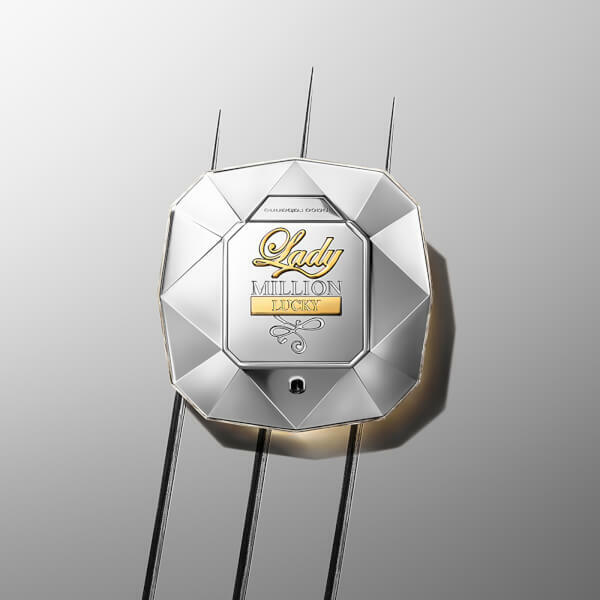 Discover the Paco Rabanne Lady Million Lucky Eau de Parfum; a vibrant, voluptuous interpretation of the brand's original fragrance. 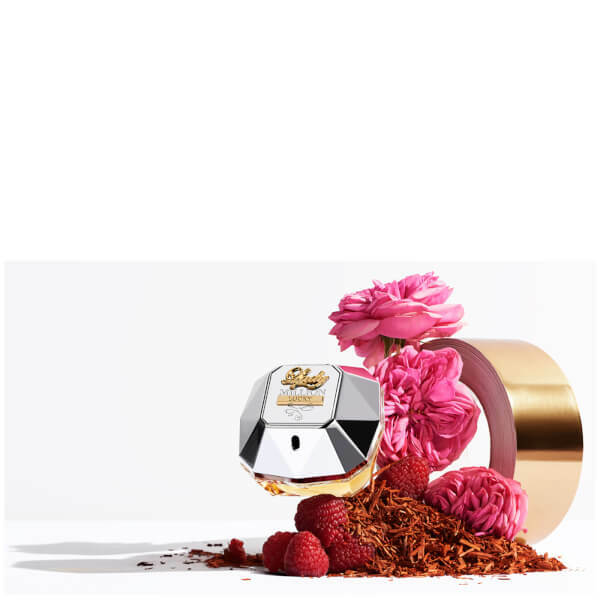 Opening with juicy Raspberry accords, the elegant perfume develops into a floral bouquet of Rose and Jasmine, before settling on a rich base of Cashmere, Sandalwood and creamy Vanilla. Housed in a multifaceted, diamond-shaped bottle, the elegant perfume is perfect for day or evening wear. Top Notes: Raspberry, Orange Blossom. Heart Notes: Rose, Jasmine, Hazelnut. Base Notes: Cashmere, Sandalwood, Vanilla.